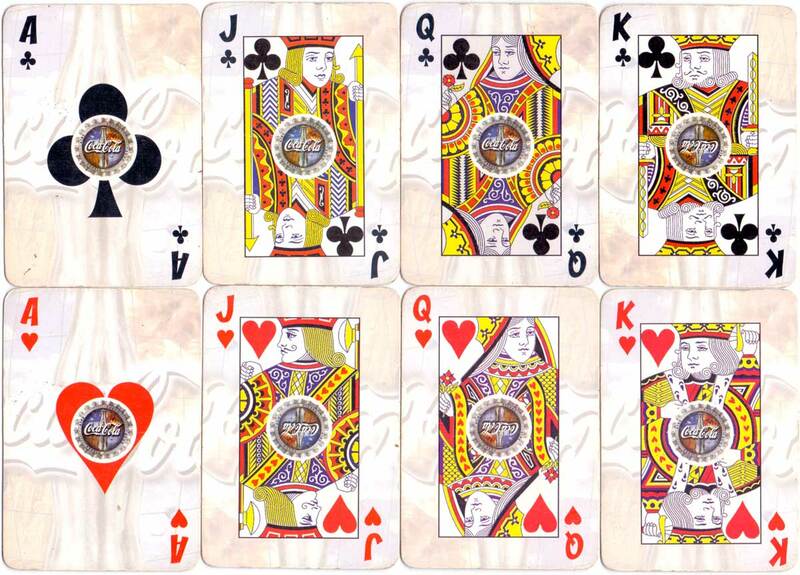 Ripley is a departmental store which opened in Peru in the year 1997. The Ripley store focuses on giving customers a shopping experience which is new and unique, by implementing a modern décor and offering brands which are popular all over the world. 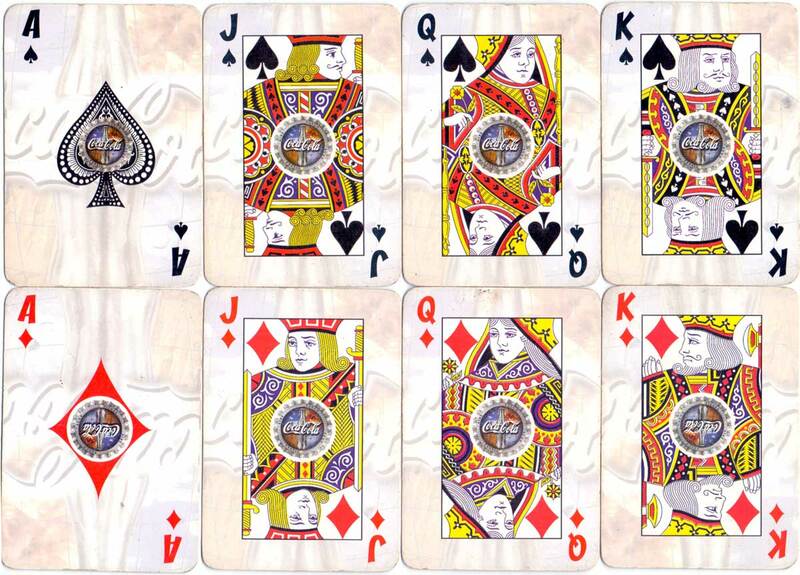 Each card in this special themed deck has a Coca-Cola bottle top in the centre of the design, and the pip cards are in non-standard arrangements. The back design portrays the soft drink as an exciting beverage with association to the four elements of air, fire, earth and water. 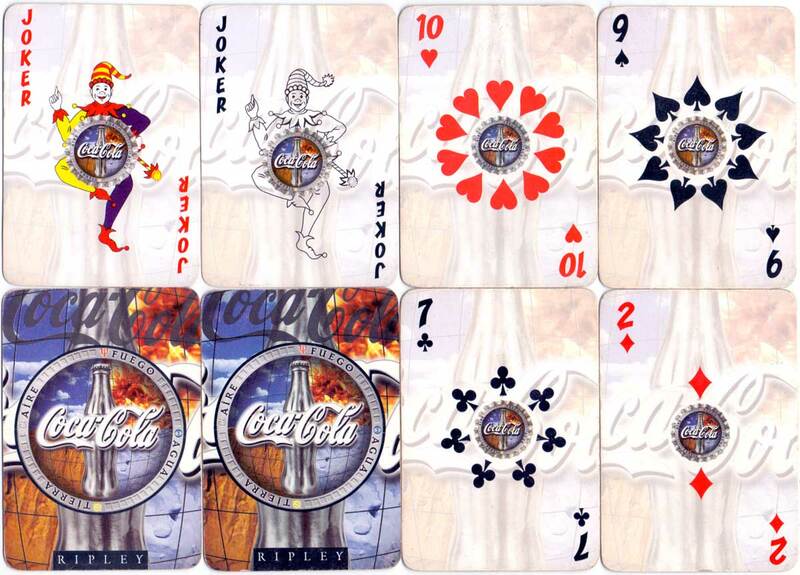 Above: Coca-Cola themed deck produced for Ripley Depertment Store, Peru, anonymous manufacturer, c.2000.